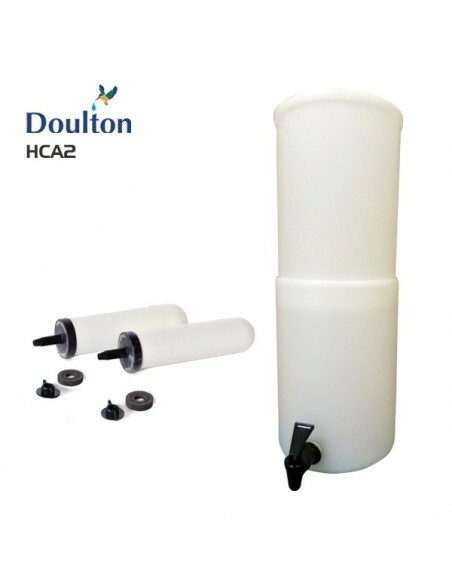 The Doulton HCA2 outdoor water filter comes included with 2 British Berkefeld Super Sterasyl filter elements. In the HCA2 housing, 4 filter elements can be placed simultaneously. 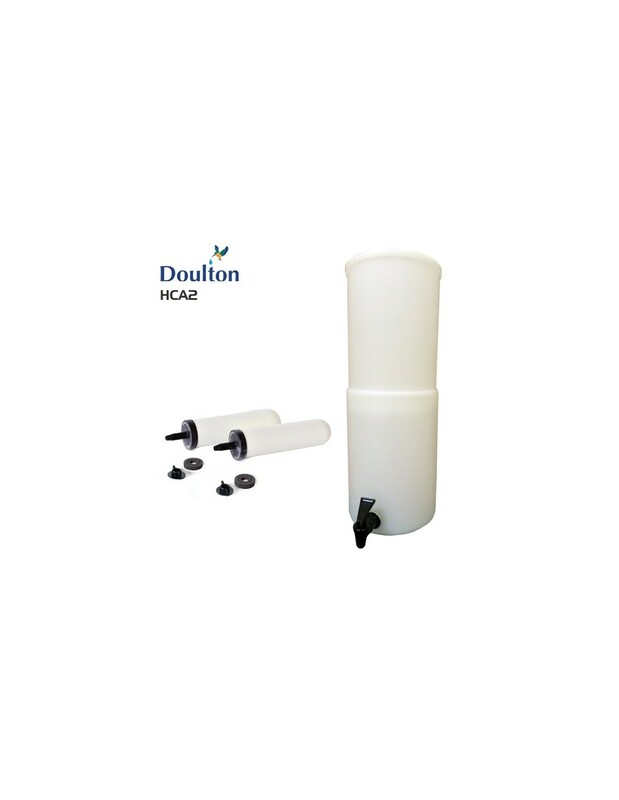 Then, the output of the filter is approximately 6 liters of safe drinking water per hour. Gravity. 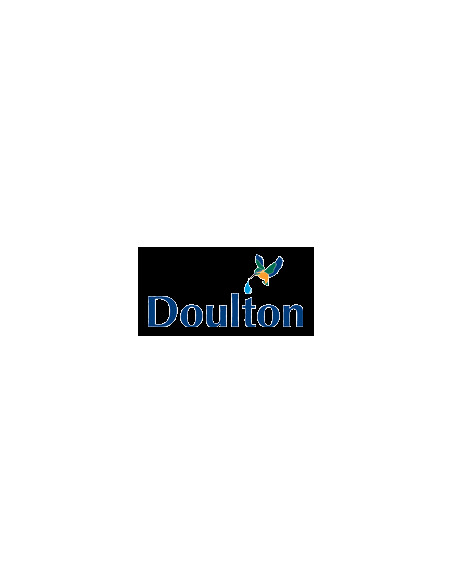 The Doulton HCA2 operates without water pressure or electricity. Click here for the British Berkefeld filter specifications. Would you also like to reduce the level of heavy metals in your drinking water? Then you should choose the ATC filter candles at the product options. Do you also want to reduce Fluoride and Arsenic? 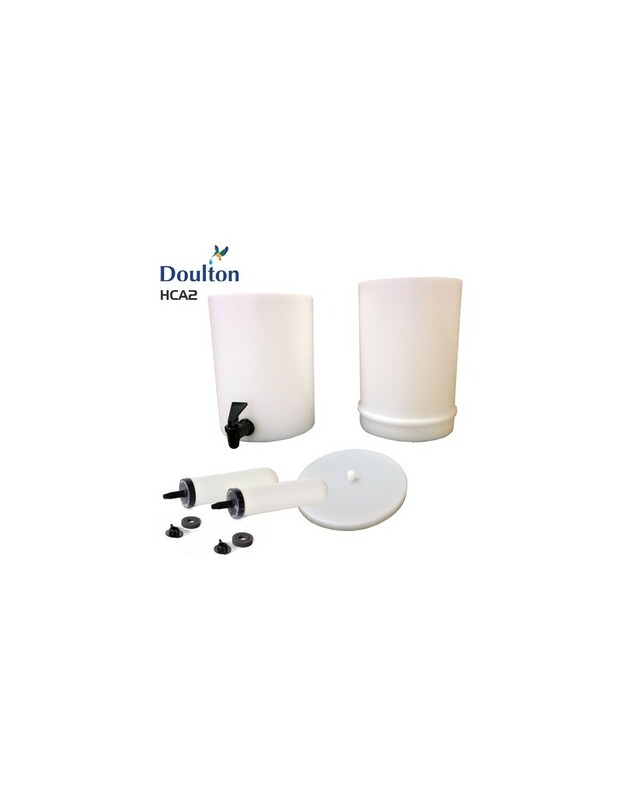 Connect the optional Berkey PF4 filters to your ceramic filter candles for additional filtration.